I was so excited to receive an email from our dear chums at Modern Trousseau containing images of their new collection released this week at Bridal Market. 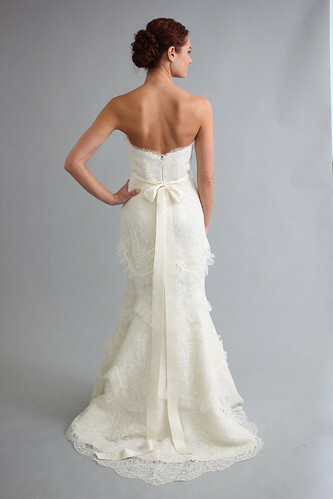 We have had many past brides wear Callie's and David's Collections purchased through boutiques like The White Dress by the Shore, as well as have a few brides working directly with them to create incredibly glamorous custom gowns for next year. Stay tuned! In the meantime, please do enjoy a few samples of their luscious frocks. What I love most is how utterly versatile so many seem. I could easily see them worn on the beach in the summer, a vineyard in the fall or at an old inn in the winter. The attention to detail on these gowns is incredible, especially the backs, which to me is so important. They look so light, so effortless, so lovely and easy to wear, I know you will eat them up as I did! Yum!